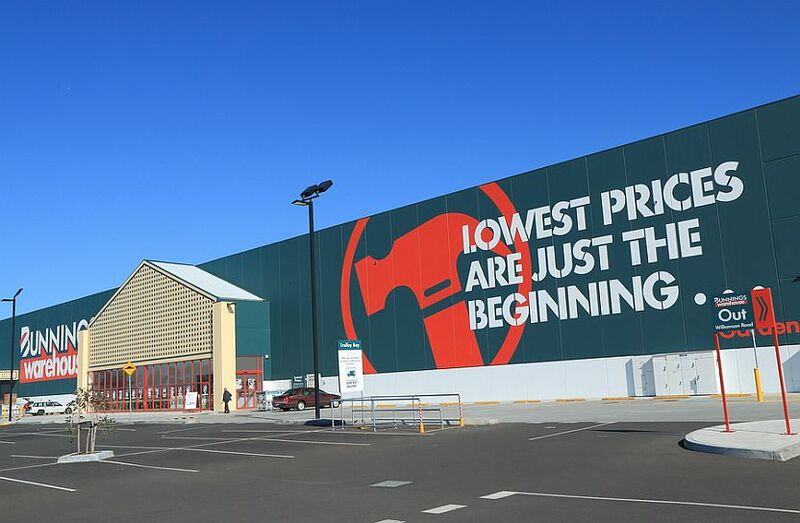 Wesfarmers intends to expand categories and online offerings at Bunnings although brokers point out the opportunities are not without risk. -Will Bunnings' home improvement base prove resilient in housing/consumer downturn? Wesfarmers ((WES)) is targeting a multi-pronged expansion for Bunnings, its chief earner amongst its divisions. The company's investor briefing highlighted expanded categories, services and online offerings and provided commentary on industry drivers. Yet some brokers are rather dubious about the extent of any upside. Morgan Stanley is concerned about reduced financial disclosure - no trading update on the financial information was provided at the briefing - and a lack of meaningful commentary about Bunnings at a time when the housing market is turning and online investments are to be made. Citi observes management is looking to position for growth, given the extended slowdown in the housing market, and while the strategic initiatives make sense the opportunities are long-dated. The stock, meanwhile, is sustaining an elevated multiple, in the broker's view, given this stage of the housing cycle. Management has indicated that sales-per-square-metre growth since FY13 has been around 4% versus like-for-like sales growth over the same period of 7.5%. The difference is attributable to higher rates of new store cannibalisation and the opening of bigger, less productive stores. Still, management has indicated that the recent slow down in sales-per-square-metre growth was an anomaly and the previous trajectory should resume. Citi forecasts like-for-like-sales growth to trend lower, to 3.6% in FY19 and 3.0% in FY20, amid sales-per square-metre growth of around 2% per annum over the next three years. Total sales growth has a very strong correlation with turnover of existing housing stock, Macquarie observes. DIY/hardware expenditure is elevated before a property sale by the vendors and after the transaction by the buyer. While Bunnings may not buck the housing slowdown as it did in 2010/11, the broker contends the chain continues to take market share and has proven resilient. Morgans asserts that home improvement and building material expenditure are "necessities" and provide a base for earnings at Bunnings. In addition, population growth underscores the need for new housing and this provides a growing customer base. The broker also believes the focus on service makes Bunnings more than just a retailer, helping create stickier customers. It is clear to Macquarie that Bunnings is evolving its offer to become more of a home lifestyle business as opposed to a hardware chain and there are many opportunities. Bunnings believes it has a $50m addressable market in this area. Regardless of the opportunities the company outlined, UBS envisages risks to earnings in the near term and assesses these have not been priced in. The broker points to slowing consumer expenditure, with around 78% of Wesfarmers' FY20 earnings (EBIT) directly exposed to discretionary consumer expenditure. Bunnings aspires to having its commercial/trade business rivalling consumer based business in size. Morgan Stanley understands it represents around 30% of sales currently and has been growing faster than the overall business. Citi suspects this would require significant investment in ranges, the store network and staff training. Ticketing has been highlighted as a key component of store labour costs, such that rolling out digital ticketing has potential to generate substantial savings. Management is also not expecting a sizeable step up in labour costs, while electricity costs are being offset by solar panels. Ord Minnett considers the external environment challenging but concludes that Wesfarmers has a strong balance sheet and ongoing cash generation. While it is uncertain whether the company has regained its "licence" for acquisitions, following the ill-fated UK & Ireland venture, the broker suspects there is capital management potential and modest long-term growth. Bunnings offers 20,000 special items on its online platform and the vast majority of purchases are from trade customers. Morgan Stanley calculates this is less than 1% of total sales. Now, management will start a trial in Tasmania of a transaction website for consumers, to be expanded nationally in 18 months time. The broker senses a reluctance to invest in a transaction website, as it could be expensive and dilutive to margins. The company has noted higher delivery costs and a lack of customer demand for online, particularly in categories that are unable to be shipped.